This original, hand-written copy of the Treaty of Cession is part of the collection of the Library of Congress. 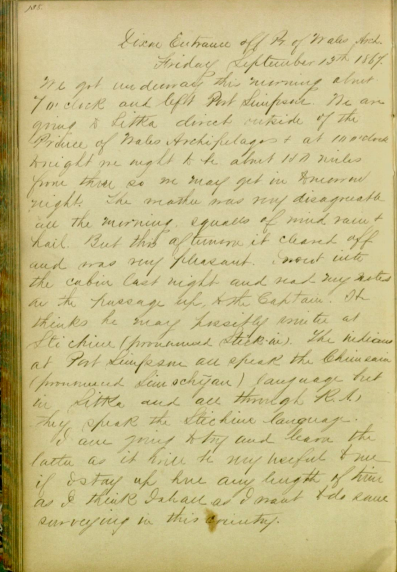 Read a transcription HERE. 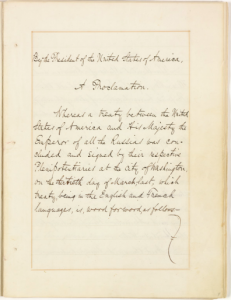 This original Russian copy of the Treaty of Cession is part of the collection of the Library of Congress. 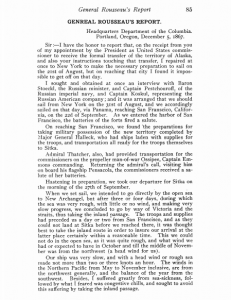 This account of the Transfer was written by Captain George F. Emmons on the U.S.S. Ossipee, and documents the events of October 17th and October 18th, 1867. 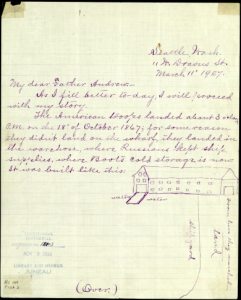 Held in the Andrew Kashevarof Papers in the Alaska State Library Historical Collections, this document from 1927 recounts the details of the 1867 treaty transfer in a letter from Peter J. Kostrometinoff to Father Andrew Kashevarof. 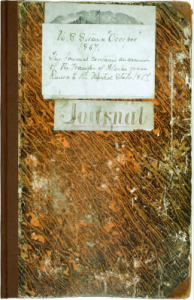 Also includes census information concerning the Kostrometinoff family (used with permission). 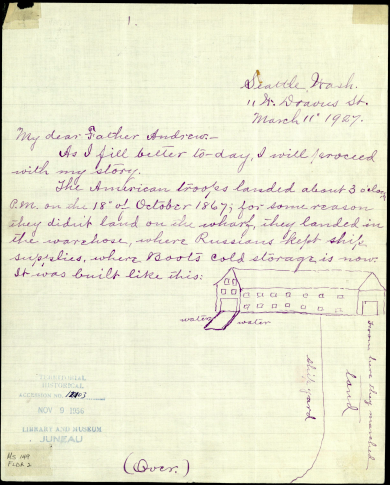 Transcription of the document HERE. 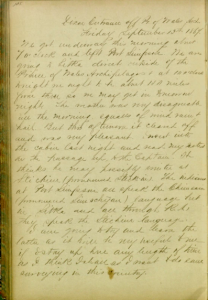 Held by the Beinecke Rare Book and Manuscript Library of Yale University, this account was written by Andrew Alexander Blair (1848-1932) who was a midshipman on the U.S.S. Resaca expedition to Alaska. 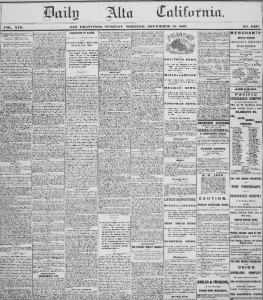 Transcription of the document HERE. 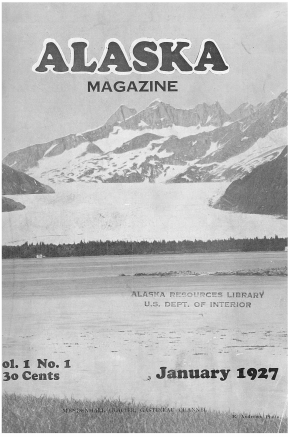 Part of the U.S. Department of the Interior’s Alaska Resource Library, this article from a 1927 edition of Alaska Magazine commemorates the 60th anniversary of the Treaty of Cession, written by Father Andrew Kashevaroff, who served as a curator of the Alaska Historical Museum and an associate editor of Alaska Magazine. 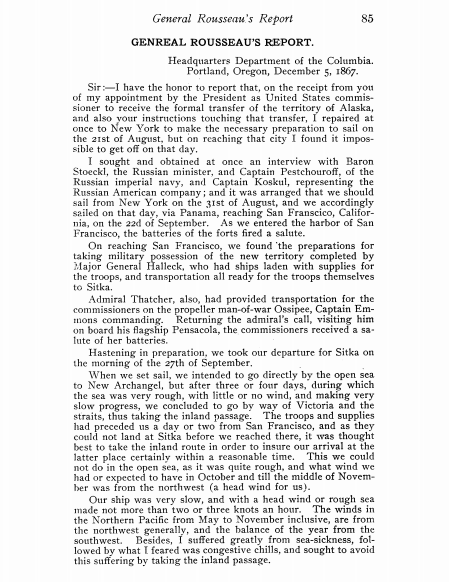 Secretary of State William H. Seward’s instructions for Brigadier General Lovell H. Rousseau, designated commissioner to handle the transfer ceremony in Sitka, and Rousseau’s report on the events surrounding the transfer. 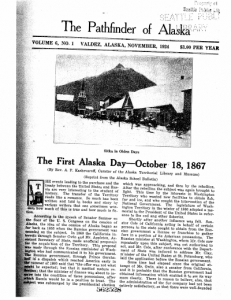 This particular printing came out in the Washington Historical Quarterly in 1908, but the documents date to 1867. Published in the Pathfinder of Alaska in Valdez in 1924, this account by Father Kashevaroff is held by Alaska Resources Library and Information Services. 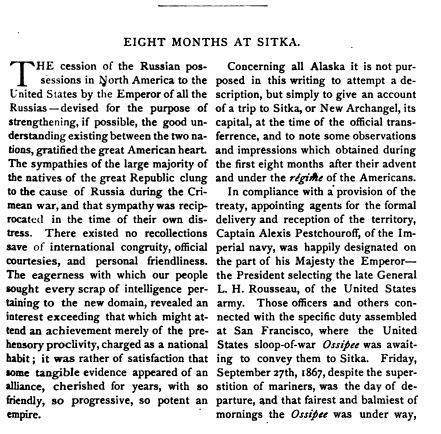 This San Francisco paper published a full spread on the acquisition of Alaska on November 19 1867, written by an unnamed correspondent. 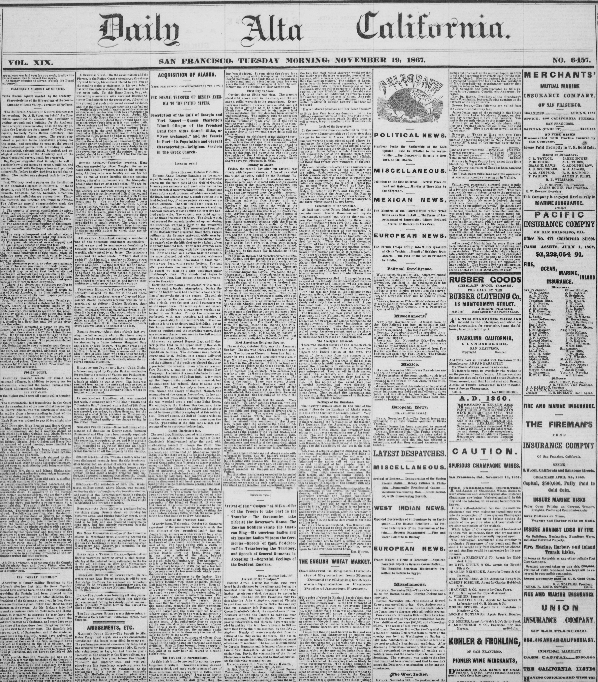 Located in the California Digital Newspaper Collection. 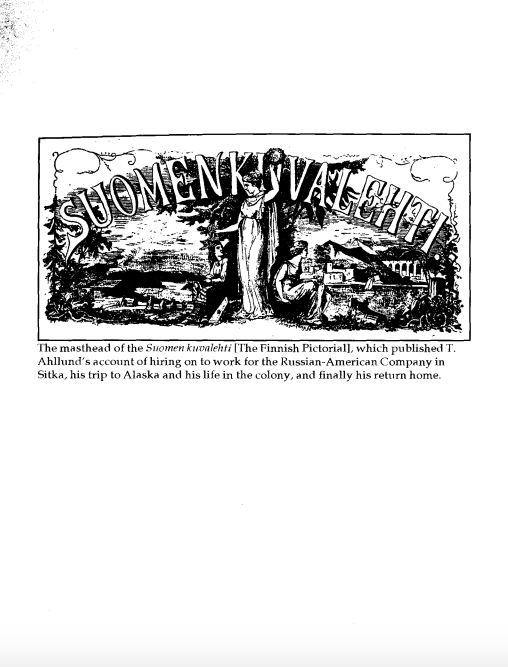 This account of Finnish blacksmith T. Ahllund was first published over four issues of the Finnish news magazine, Suomen kuvalehti in 1873. This translation by Panu Hallamaa was published in the Fall 2006 edition of Alaska History. 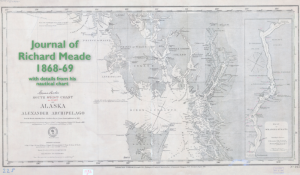 This annotated and digitized account of Richard Meade’s voyage by steamship through Southeast Alaska was created by Richard Carstensen and Discovery Southeast. This is a fairly well known eyewitness account. 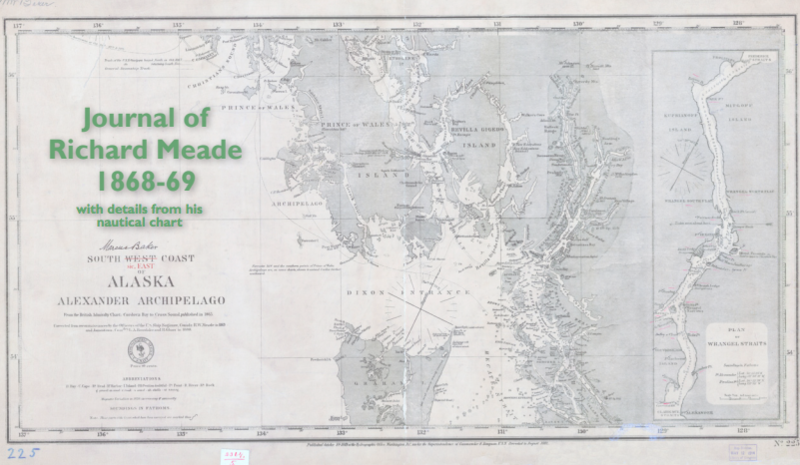 Delavan Bloodgood was a U.S. Navy surgeon who came up to Sitka on the U.S.S. Ossipee with the commissioners in charge of the transfer ceremony on October 18, 1867. 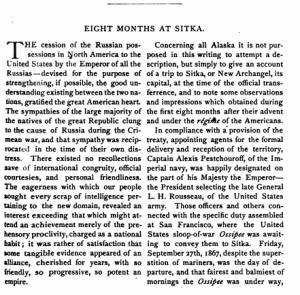 Excerpted from Overland Monthly 2 (February 1869), 175-186. 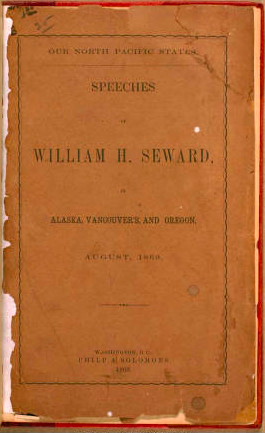 This speech was delivered in Sitka on August 12, 1869, shortly after the implantation of the treaty, and includes Seward’s thoughts on Alaska after having traveled between Sitka and Klukwan. Transcription HERE.